Looking for a simple Summer day look that can be used for casual street walks? 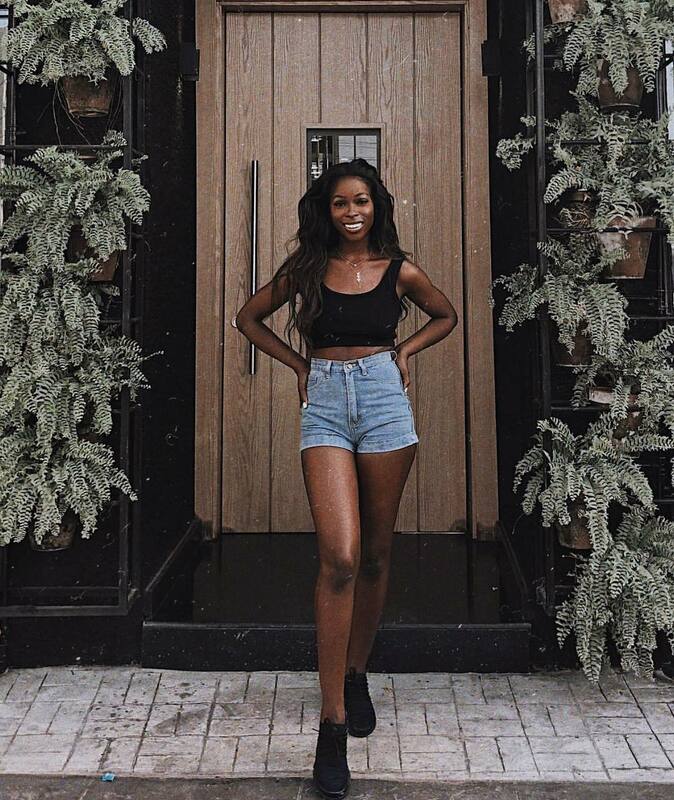 Here we see a cool combination that consists of a black crop top, high-rise denim shorts and black kicks. Keep it simple, sporty and edgy. We see a black leather jacket teamed with a white t-shirt and grey-white sweatpants. Complete this combo by adding colored sneakers. Check out these two simple day looks for casual summer. The first outfit comes with a burnt orange crop top and ripped regular jeans completed with chunky sneakers in white. The second look features a white T-shirt tucked in grey sweatpants completed with a belt bag and stylish kicks. 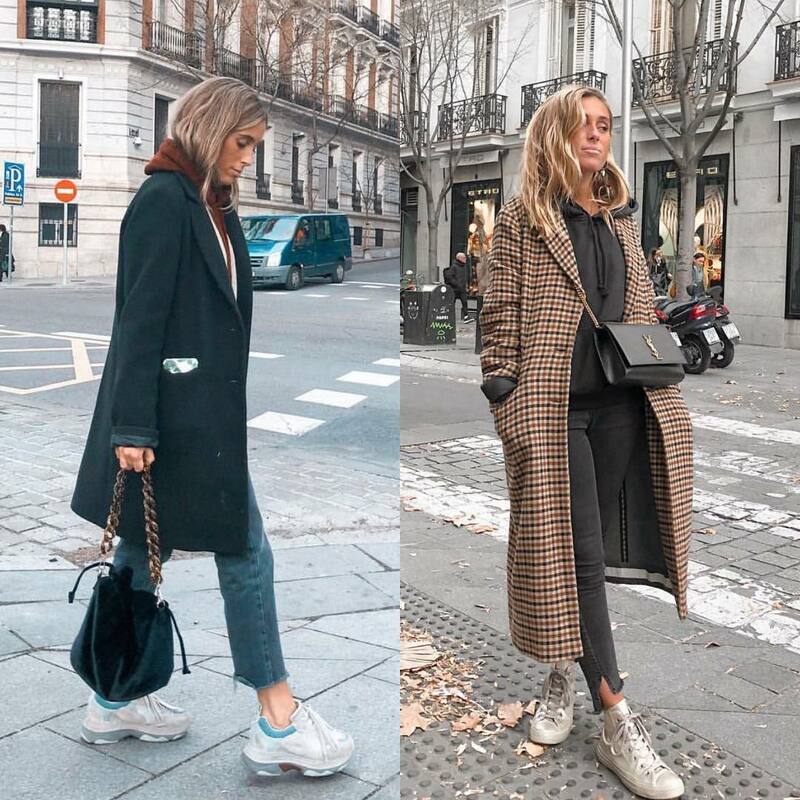 Looking for a cool outfit idea to wear with your favorite chunky sneakers in white color? Here we see two awesome outfit ideas to copy this Summer. 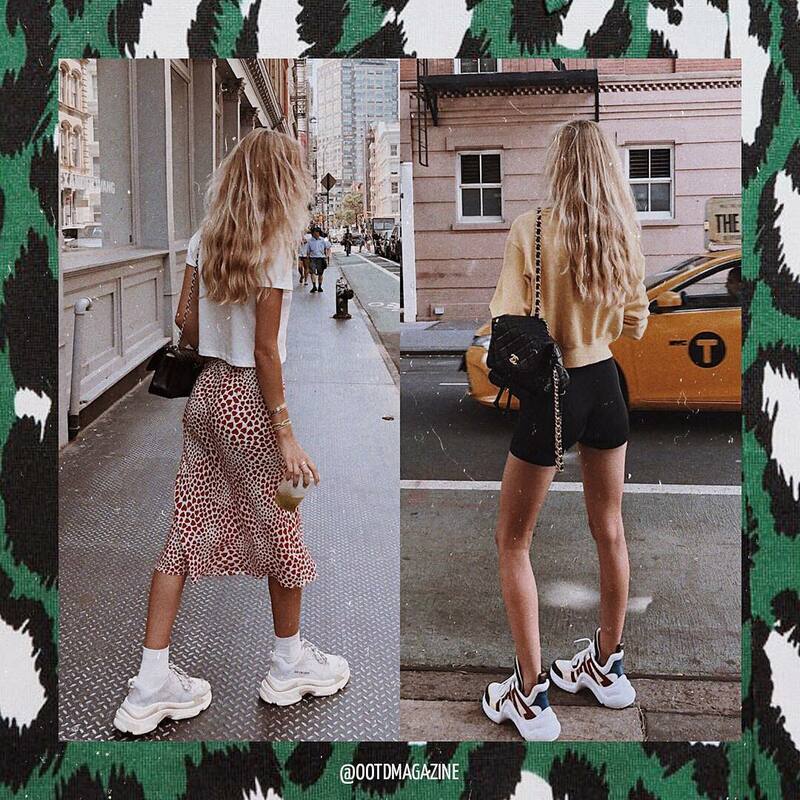 The first look comes with a white T-shirt and leopard print midi skirt completed with white socks and chunky sneakers. The second look includes a pastel yellow sweatshirt teamed with mini bicycle shorts in black and cool sneakers. Check these two outfit ideas for Summer days. We see awesome clothes for warm days. The first look includes a floral crop top teamed with safari style high-rise pants in cream beige completed with camel sneakers. The second outfit comes with a midi dress in black completed with a white shirt and striped straw hat with a wide brim. 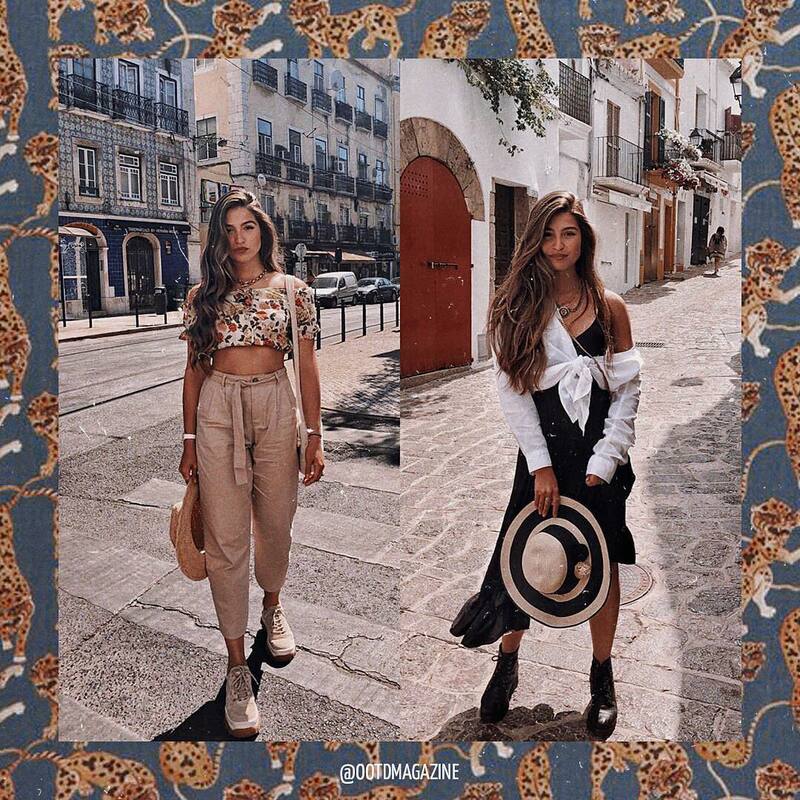 Which OOTD is your favorite? A perfect day outfit for Amsterdam ❤️. We see a marvelous cherry red sweater teamed with snakeskin print slim jeans and black sneakers. A comfortable combination for young ladies who want to keep things casual, but still look dressy. Another Parisian chic outfit inspiration. We see two looks for Fall season updated with a long coat. The first style comes with an emerald green coat worn over a brown hoodie completed with short jeans and white chunky sneakers. The second style comes with a plaid coat worn with a grey hoodie, skinny jeans and grey sneakers. If you are into jumpsuits, then how about this one? 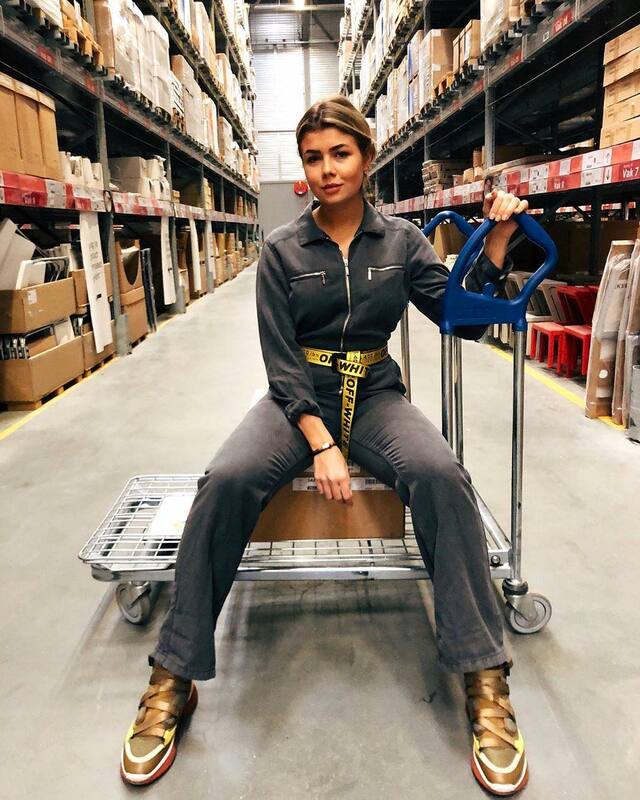 Here we see a grey cargo style jumpsuit completed with gold sneakers. A perfect style for young ladies who are into casual outfits. In love with blazers. 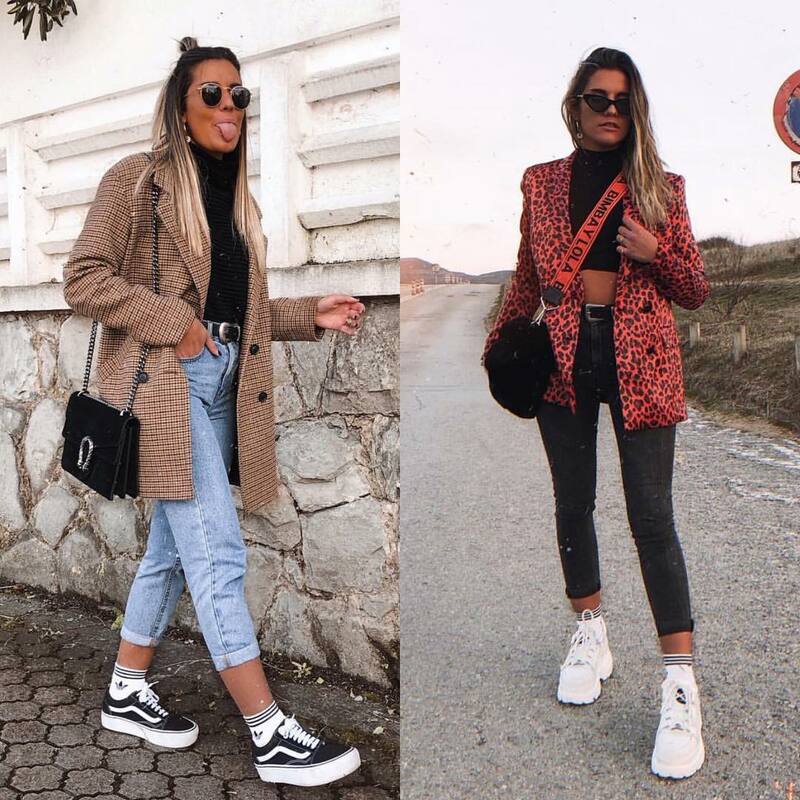 We see two different looks for young women who love blazers. The first outfit consists of a long plaid blazer teamed with a black turtleneck and wash blue slim jeans completed with black trainers. The other look comes with a red leopard print blazer teamed with a black crop top and skinny black jeans updated with white sneakers. Yoga is on my mind. We see a perfect black yoga outfit idea consisting of a black tight crop tank top with yellow-red-green stripes and yoga leggings in black with the same yellow-red-green stripes. Complete this combo with a pair of white sneakers. Would you give this outfit a try?